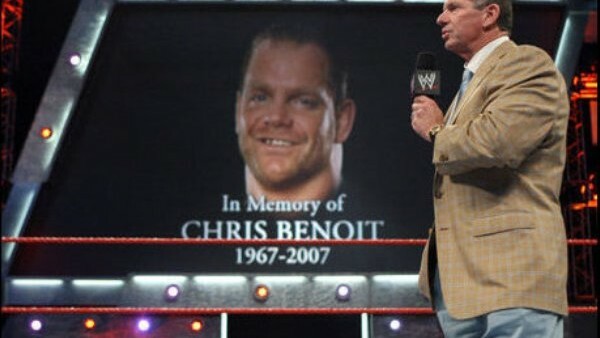 10 years have now passed since the devastating actions of Chris Benoit rocked the wrestling community and completely reframed how the damaging excesses of an industry were handled. During a three day period between June 22nd and June 25th 2007, 'The Rabid Wolverine' killed his wife Nancy and seven-year-old son Daniel, before committing suicide himself. It was a grizzly scene that portrayed the heartbreaking final acts of a deeply damaged and troubled individual, and shone a harsh light on how a profession could aid a complete mental and physical denigration of an ostensibly rational and balanced individual. The severity of the crimes briefly brought the case into the mainstream, with numerous commentators (informed and otherwise) opining on the how's and why's of such brutal crimes, but like most niche stories, the press attention was only fleeting. Naturally, this was not the case in professional wrestling. The spectre of the murders still lingers today, and though company insiders would presumably like to distance themselves from Benoit's last actions wholesale, the family's tragic end brought about a sea of short and long-term changes that irreversibly altered the way WWE does business. 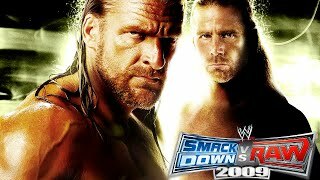 A decade on, and fans and wrestlers alike still remain in a perpetual recovery from the case, whilst WWE is an organisation transformed from the cataclysmic event.